A young Zulu boy from the lands of Kwa Zulu Natal. He’s a ball energy, very versatile and what he regards himself as performer of a comedian that started his comedy career in the “exciting” lands of Grahamstown as a Rhodes student. He’s performed on pants on fire as a support act and recently headlined in Grahamstown this year for the final show. 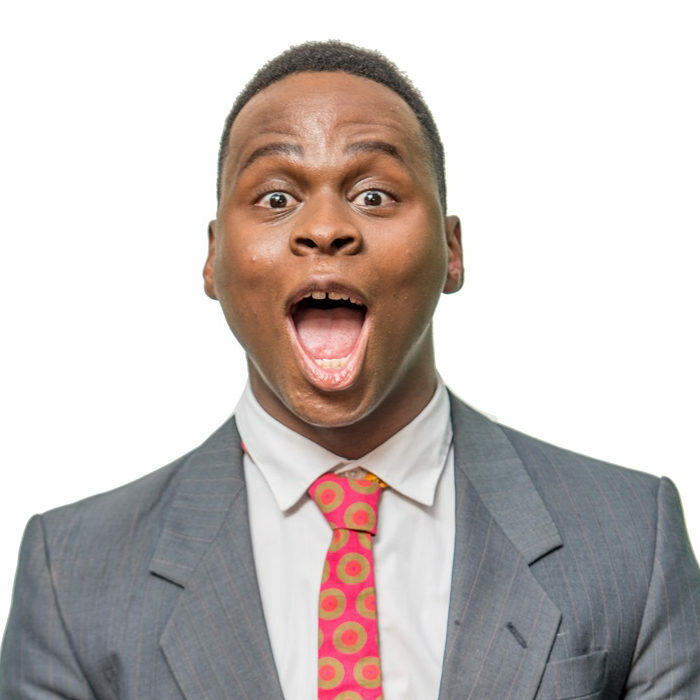 Siv Ngesi produced his very first comedy shows this year that was directed by Rob Van Vuuren.